Patrick Lindsay is a prolific Australian author, having published 18 books on the back of an extremely successful career as a journalist, TV reporter and presenter. In December I reviewed his book Back From The Dead - Peter Hughes' Story of Survival and Hope After Bali, giving it 5 stars. Patrick joined me recently to answer some interview questions. 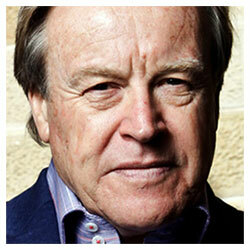 Patrick, what inspired you to write about the Bali bombings of 2002 and survivor Peter Hughes in particular? I was working on a book called The Spirit of The Digger when, like all Australians, I was stunned by the reports of the Bali bombing. I watched transfixed as the chilling images unfolded on the TV. As I watched, I was struck by the spirit of the survivors and their rescuers. I realised I was watching the same spirit I was researching. Gen Peter Cosgrove had told me that you didn't have to wear the slouch hat to have the spirit of the Digger. It occurred to me that we all have that spirit within us and that it came out in times of crisis - terrorism, bush-fires, floods, etc. I decided I should explore it further by writing about the story behind the main face of the Bali attack, Peter Hughes. Of course, I didn't know whether he would survive: it was touch and go then and he actually died a number of times and was brought back to life. I contacted him when I heard he was recuperating. He agreed to let me tell his story. We're good mates now. What was the hardest part of writing or researching Back From The Dead? How did the book change you? It was a very emotional journey. Peter was still in the early stages of his recovery when I started interviewing him. He endured great pain and he suffered many doubts but his spirit always shone through. His son Leigh was an extraordinary support and became his rock. It was difficult to reconcile the callous violence and fanaticism of the bombers with the gentle humanity of the Balinese and the idyllic beauty of their country. I was intrigued by the intersecting time lines of the lives of the perpetrators and the victims and I decided to use that as a device to unfold the central storyline. The hardest part was pushing on with the work when I knew how painful it often was for Peter. I learned much as a person from observing Peter, his fellow survivors and their remarkable healing angels, especially Dr's Fiona Wood and John Greenwood. Publishing 18 books is an incredible achievement in any author's career. Do you have any advice for aspiring writers? I think persistence is a writer's greatest asset. I was a journalist and a TV reporter and presenter for more than 25 years before I started writing books full time. I have always been telling stories of some kind or another. Books require a special determination - to secure an overview of the scope of the work involved and to doggedly fight through the research and writing to completion. But if you know what you want to say then you'll find a way to do it. Treat your writing with respect, find a haven where you can work without distraction and then just start. Also read voraciously and write as often as you can. What can you tell us about your research and writing process? Does your background in journalism assist you in your research? Yes, I think being a journalist, especially starting as a newspaper journalist before computers and the Internet, taught me the value of relentless research and gave me a healthy scepticism. Unlike a lot of journos today, we had to sniff out our own stories, not wait for press releases. I learned not to accept things at face value and to cross check facts and statements. I love the benefits brought by the digital age but the downside can be the lure of Google and the unquestioning acceptance of facts, just because they are on the screen. Whenever possible I dig back to primary sources, rather than relying on someone else's interpretation of them. How long do you spend on each book and how do you decide what you will write about next? On average I would spend about three months intensively researching and around the same time writing a book. This can vary widely. 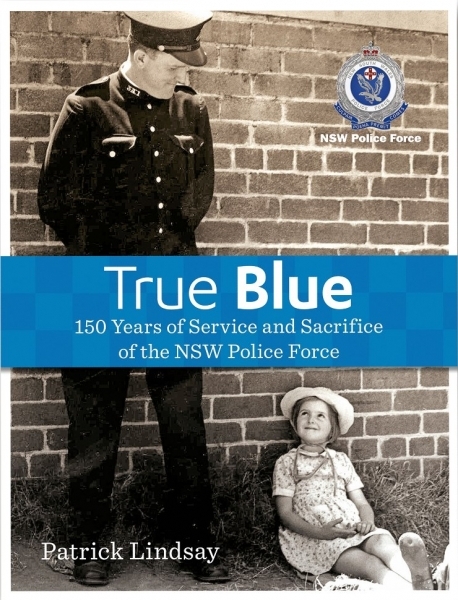 I spent almost two years on my last book, True Blue, 150 Years of NSW Police Force. It was a far bigger project than I first imagined. It's often difficult to accurately assess the size of projects as the research can take you down unexpected paths. That book was commissioned by the NSW Police; the first I've done that way. All the other books have come from an idea I've developed or from a suggestion from the publisher. A large portion of your books are related to the Australian Defence Force and military history; can you tell us more about your interest in these areas? It started with my interest in Kokoda, or more accurately my love for the men who fought there. I wrote, produced and directed a documentary for the Australian Army on the Kokoda Campaign back in 1991 and many of the Diggers I interviewed for it became treasured friends. My first book was The Spirit of Kokodaand the other books, like The Spirit of The Digger, Cosgrove, Fromelles, The Coastwatchers, etc seemed like natural progressions. It's not that I have a love of war or military history so much: rather I have a fascination with what war does to people and how they respond to it. It prompts the most remarkable responses from ordinary men and women. But I also write on very different subjects and I'm passionate about my It's Never Too Late series of inspirational books. After such a successful career in journalism and television, are you ever pulled in too many directions or turn down interesting projects in favour of writing? Yes, I've spent a dozen years now writing books and in that time I've declined quite a number of interesting opportunities in TV and other areas of the media. I created the format for the reality TV series, In Their Footsteps, which Nine broadcast last year. It was a ratings success and I'm working on some similar programs. I'm aiming to expand my work in that field next year. Do you have a favourite bookshop you'd like to tell us about? My favourite is Helen Baxter's lovely little bookshop in McMahon's Point in Sydney [Blues Point Bookshop]. Helen is a prodigious reader and a great source of literary advice. What's next? Do you have anything in the pipeline for 2013? I'm working on another inspirational book and a number of television projects. 2013 is shaping as a very busy year. Like most authors (and publishers) I'm trying to come to terms with the often bewildering changes to the publishing world. I'm trying to understand the e-book options. I'm very optimistic about the future. I think it may open opportunities for authors to take greater control of their own work and destinies. Thank you Tracey for your blog and for all your work to spread the word on the pleasures of reading and writing. I'm delighted you enjoyed Back From The Dead.